Most small businesses don’t need to go full throttle with an accrual basis accounting system…a modified cash-basis/modified accrual-basis system will work just as well. To achieve a modified basis system, track your cash (reconcile your bank accounts and credit accounts), invoice your clients (accounts receivable – discussed here) and document what you owe (accounts payable). 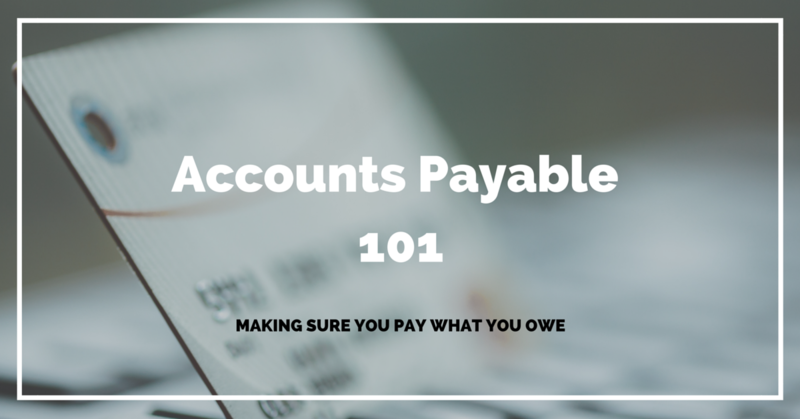 So let’s dive into Accounts Payable…aka what you owe your vendors and suppliers for goods and services that they have provided and/or are scheduled to provide to you. For cashflow, budgeting and decision making purposes, it’s important to know who you owe, what you owe and when your payment is due. A lot of us just set up auto-payments or pay online or even do online bill pay and keep moving. That sounds okay, right? I mean what could be wrong with paying your bills automatically or online? There’s actually nothing wrong with that… it’s just that the automation leaves you in the dark. You see…although things are getting done, from a planning and cash flow perspective, you are flying blind to a large extent. Especially when it comes to recurring payments. For decision making, you must know what you owe… and when it’s due to be paid. In order to have more insight, what should you do? You should document what you owe to whom, for how much and when it’s due. If you are using an accounting program, this will be really easy. Using accounting software, it’s really easy to track what you owe. You create the “bill” (the invoice that you get from the vendor/supplier)..
And if it’s something you pay on a recurring basis, such as internet service fees or hosting fees for your website, instead of creating them manually every month, create a recurring bill. When the payment goes through your bank account, instead of allocating it directly to an expense account…you will apply it to the open bill (thereby “closing” the bill). So what’s next? What should you be on the lookout for? For the most part, you are only recording/documenting recurring bills or products/services that you are to receive (and therefore pay for) in the future. Now that you know what you owe and when, make sure you are paying on time. Monitoring this is as simple as running an “Open AP” report in your accounting system to see if you are current on your bills. So what should you do if you discover that you aren’t current on your outstanding obligations? Double check to make sure that it’s not an error or an oversight. For instance, did you mistakenly allocate the payment directly to an expense account instead of the the open bill? Is there a pending payment for this bill that hasn’t cleared your bank account yet? Or could it be a case of an expired debit or credit card that needs to be updated with the supplier/vendor? Or did you just forget to pay it? So many possibilities… but you can quickly run through these potential scenarios to solve the dilemma and take steps to correct the error or oversight. So my question for you is this… are you good about making sure that you pay your vendors and suppliers on time? If not, put the shoe on the other foot. How do you feel when your customer/client delays paying you or doesn’t pay you at all. Don’t be “that customer”. Don’t be “that client”. Want to implement this yourself? Grab my 7 Steps to Better Books checklist. It has everything you need to get you setup and on the right track. Editor’s Note – This post was originally written & posted April 2014. I’ve revamped it to include a little more detail about what to look for. Cash Basis – in accounting terms, you recognize (record) income and expense as the money literally comes in or goes out of your bank account(s). Accrual Basis – in accounting terms, you recognize (record) income and expenses when they are owed. In this case, you record income via an invoice (the customer owes you money for goods or services) and you record expenses via a bill received from your vendor (you owe them money for goods or services). With true accrual basis accounting, in addition to documenting A/R and A/P, you would also document and reallocate income and expenses to the proper accounting period using journal entries. Other journal entries you might make using this method of accounting would include depreciation and amortization. Modified Cash Basis or Modified Accrual Basis – in accounting terms, it’s taking elements of both cash basis and accrual basis. Using this method, one may start with cash basis but add accounts receivable or accounts payable (or both) but stop short of doing quarterly or annual adjusting journal entries.